TIMETABLE FOR B.TECH/B.PHARMACY 1ST YEAR MID III EXAMINATIONS MARCH/APRIL – 2016 – REG. 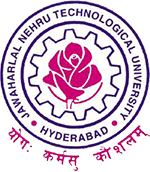 JNTU Hyderabad has released B.Tech/ B.Pharmacy 1st Year R15 regulation III Mid Term Examination Time Tables March/April 2016.
may i know the details of btech 1st year lab externals…i hope my request will received to me in time…. may i know the details of lab external exams…betch 1st year..